Plans are underway to make it easier for people living in South West Australia to establish a career in music. The South West Development Commission (SWDC), in partnership with regional stakeholders including the Creative Corner, is developing a strategy to grow the South West’s music industry. The State Government agency is leading efforts to identify opportunities to support employment and will also undertake a comprehensive assessment of the industry in the region. “For many people, music is a sideline act to other employment, but we want to develop the industry in the South West so that there are more opportunities for local people to pursue a living from their passion,” SWDC Acting Chief Executive Officer Rebecca Ball said. Creative Corner Vice President and local music producer Noah Shilkin said technology meant it was becoming easier for people based out of the larger cities to participate in a global industry. 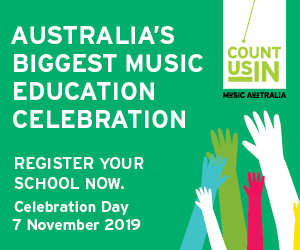 “The strategy will give people who don’t live in urban centres the chance to access the tools necessary to pursue a career in music,” Mr Shilkin said. Creative Corner has also rolled out a new initiative called the Notes for Notes program, which encourages people to make a voluntary contribution to acts playing at live venues. SWDC is part of the West Australian Government and works to make the South West region a better place to live, work and invest. The Creative Corner is one of the four organisations in Country Arts WA’s Regional Arts Hubs pilot program. The intent of the program is to increase creative self-sufficiency and autonomy for regional and remote communities and artists.